In anticipation of the debut of American Idol at its new home on ABC, America will have the chance to vote an Idol hopeful through to Hollywood ahead of the season premiere! It all kicks off live during the 2017 American Music Awards on SUNDAY, NOVEMBER 19 at 8|7c. What to Expect: Idol's all-star panel of judges including Luke Bryan, Katy Perry and Lionel Richie, have traveled the country in search of America's next superstar. For some lucky auditionees who nearly made the cut, the journey isn't over. Bryan, Perry and Richie will select singers to re-audition for a second chance at the competition. Their audition videos will be broadcast live during the 2017 American Music Awards, and viewers will then have until 2:00 p.m. ET on Monday to vote for their favorite singer at americanidol.com/vote. The singer who receives the most votes will receive a Golden Ticket to Hollywood, and will be revealed by Lionel Richie live during a special appearance on Dancing with the Stars on Monday, November 20. Step 1: Tune in to the 2017 American Music Awards on Sunday, November 19 at 8|7c. Step 2: Watch the audition videos of the chosen Idol hopefuls during the live broadcast. Step 3: After the final audition, vote for your favorite at americanidol.com/vote. Step 4: Watch Lionel Richie reveal the winner live on Dancing with the Stars, Monday, November 20 at 8|7c. Get ready for the chance to vote one Idol hopeful through to Hollywood! Then tune in for the American Idol premiere SUNDAY, MARCH 11 at 8|7c on the ABC Television Network, hosted by Emmy®-winning host and producer Ryan Seacrest! Watch the judges have some fun on the road during the judges' auditions! 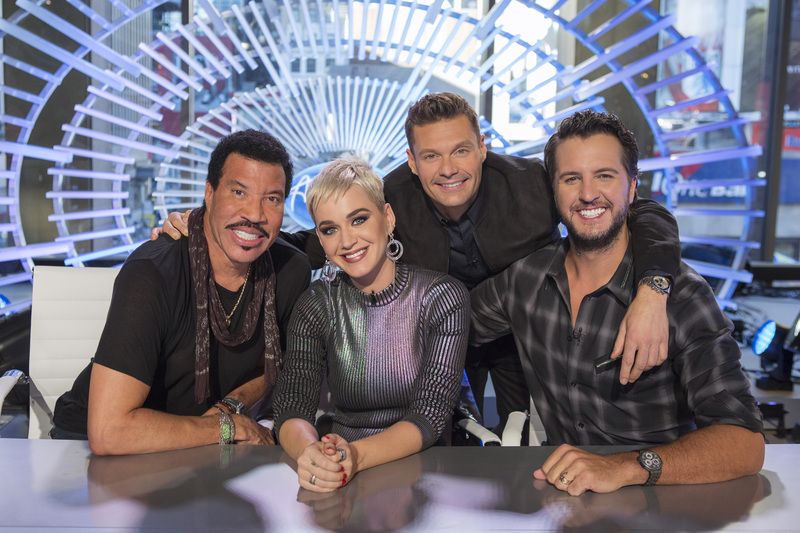 See Luke, Katy and Lionel talk "amazing" auditions, crash weddings and more.